Supporters of Alberta’s endangered caribou delivered hundreds of postcards to the steps of the Alberta Legislature today, asking Premier Notley to protect the habitat that these iconic wildlife need. The “Quarters for Caribou” event, organized by Alberta Wilderness Association (AWA), comes after Alberta missed its 5-year deadline for producing caribou range plans in October 2017. Almost three hundred signed postcards were handed over to MLA Dr. David Swann, who will deliver them directly to the Premier’s office. Another 100 electronic postcards have been sent as well. Most of the postcards have a quarter affixed to them as a gesture to say that many Albertans want their government to protect habitat so wild caribou can be on the landscape, not just on our quarters. Dr. Swann will read several of the postcards into the record of the Legislature today, including from an 8-year old, from a scientist, and from conservationist and artist Robert Bateman. AWA believes solutions are within reach for healthy caribou, healthy forests and healthy communities. Three promised new Wildland Parks in northwest Alberta do not conflict with existing jobs. 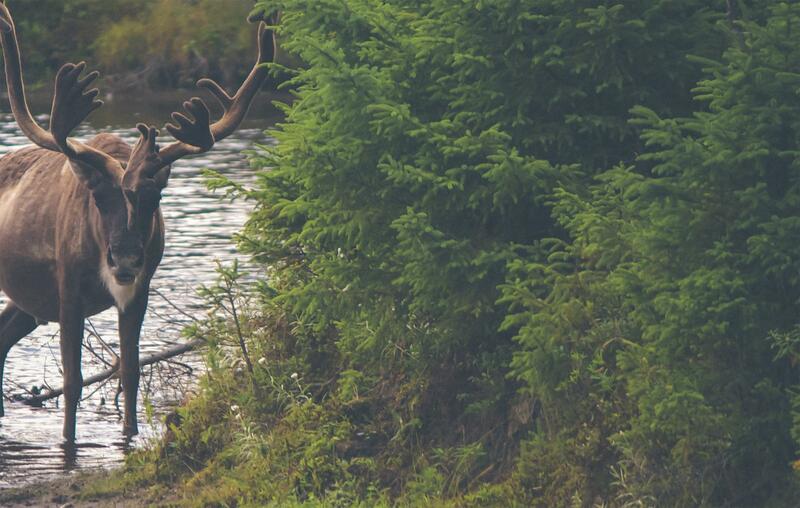 Energy and forestry can and must respect caribou minimum habitat requirements of at least 65% undisturbed habitat. Extensive employment opportunities will be created from restoring many thousands of kilometers of seismic lines. This is an opportunity for government to bring together all interested parties to protect caribou and jobs and the healthy forests both depend on to survive.